Gunnar Lovelace is a serial entrepreneur focused on business & health as vehicles for social change. He is the original Founder of Thrive Market, which is making healthy living accessible to Americans by providing the most popular organic and non-GMO groceries at 25-50% off normal retail prices. He is also the co-founder and co-owner of Love Heals - a jewelry business in more than 200 high-end retail stores and with over 75 employees. To date, Love Heals has funded the planting of over 1,500,000 trees and sponsored over 50,000 malnourished children. 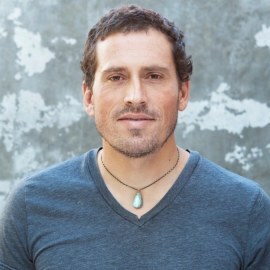 Prior to Love Heals, Gunnar started two technology companies in Los Angeles in software education and natural language processing (both of which were sold). In addition to his for-profit companies he has started two non-profits in education and environmental sustainability.